Edited by Various. 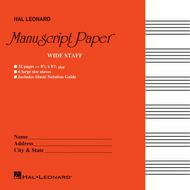 Hal Leonard Manuscript Paper. Manuscript Paper. Manuscript paper. 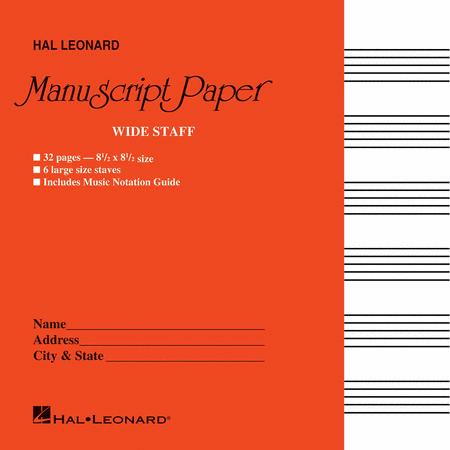 With 6 staves per page and music notation guide. 32 pages. Published by Hal Leonard (HL.210004). February 29, 2012 Great book at the right price! Why pay more when this one is perfect for beginners? Large staff so you (old) can see what you're writing and your students (young) can se what you wrote. Cheap and perfect for the job at hand. Staff is not too wide. 41 of 77 people found this review helpful.